Restaurant Abat Cisneros is located at Montserrat, a multi-peaked mountain located near the city of Barcelona, in Catalonia, Spain. The mountain offers visitors with some of the most spectacular view of Catalunya. 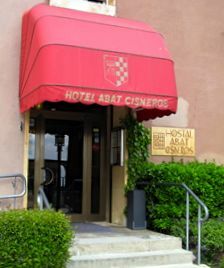 The restaurant is attached to the ground floor of the only hotel in the mountain, Hotel Abat Cisneros but it is open for all visitors. 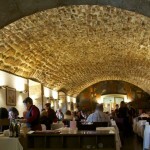 The restaurants sits inside a building that used to serve as a stables for the monastery during the 16th century. It provides a classy and yet a cozy atmosphere with its arched exposed brick ceiling. We were served with a complimentary appetizer while we wait for our orders to arrive. 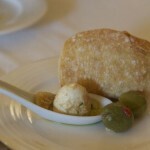 It is a plate with a scoop of cheese, bread and green olives. 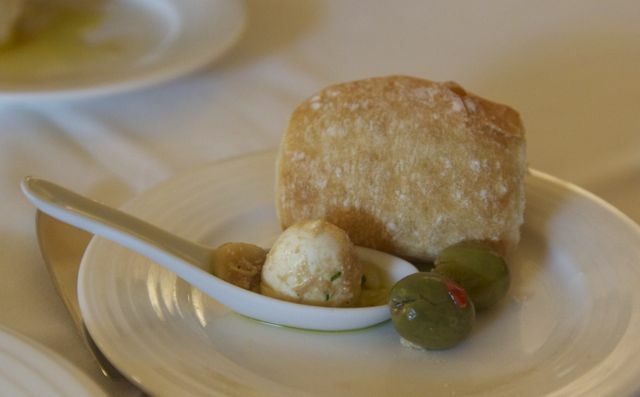 The cheese itself is a bit blunt but the sauce that goes with it complemented the dish and the bread somehow pacified our growling stomachs. The Coca Oli and Triangles de Formatge were served shortly after we finished the appetizer. 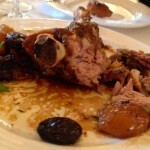 I really enjoyed eating the bread with its soft texture dipped in olive oil and balsamic vinegar. 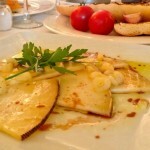 My friends, however, were thrilled to try the goat cheese as it is one of the must try local dish in Barcelona. I could say, though, that there is nothing special with the taste of the cheese but maybe it is because of the elaborate process of making the cheese that makes it a specialty. The seafood paella was brought in a big pan but we were served in individual plates as the pan is quite huge to fit our table. 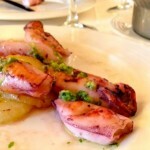 The dish is very full of seafood and has a lot of ingredients in general. The prawns are also huge and very tasty. 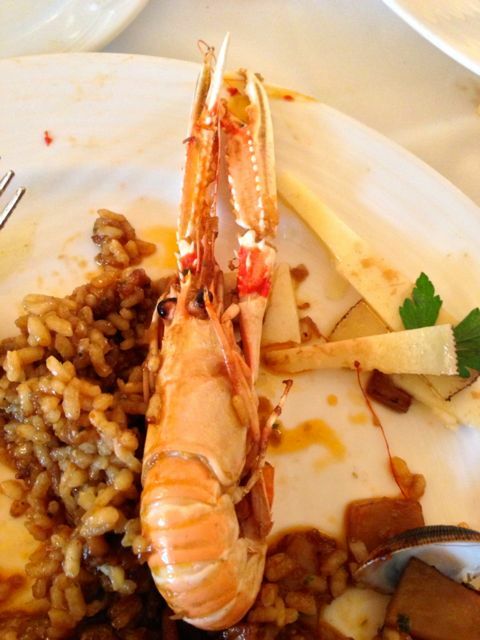 The paella dish in Spain is really a must try for visitors. 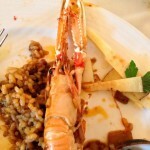 The beef fillet was served right after the paella. 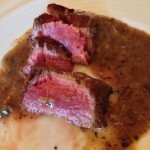 The meat is very tender and juicy. We were really enjoying the food that we almost forgot to take pictures! 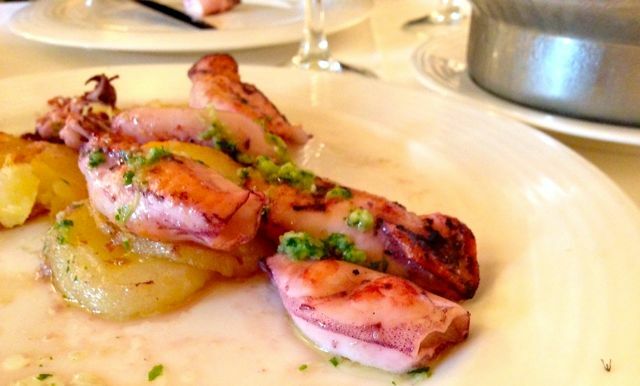 We were already feeling full when the grilled squid and shoulder of lamb was served. 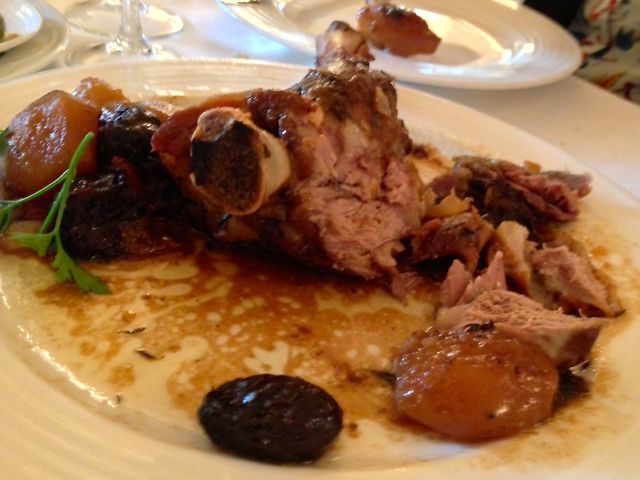 No wonder the shoulder of lamb is one of the restaurant recommendations, as the dish is perfectly cooked – the meat just falls off the bone and it’s subtle aroma and rich flavor is really exquisite. Nothing much about the squid though, we are not sure whether the squid tastes ordinary or we were just really very full that we did not enjoy it much. 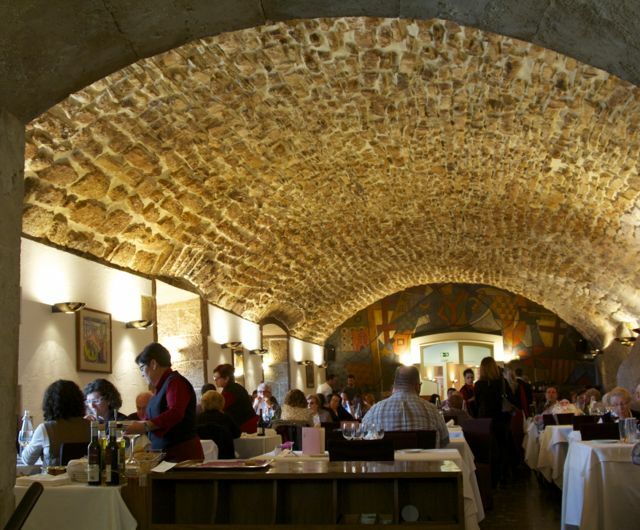 Over-all, our dinning experience in Restaurant Abat Cisneros is very satisfying. As it is a hotel restaurant, we already have a preconceived notion that the food will be over-priced and will taste regular, but we had it wrong, the food quality was beyond our expectation. The service however was average but the price is reasonable – with just 111 € for 5 people, which will cost only around 22 € per pax. 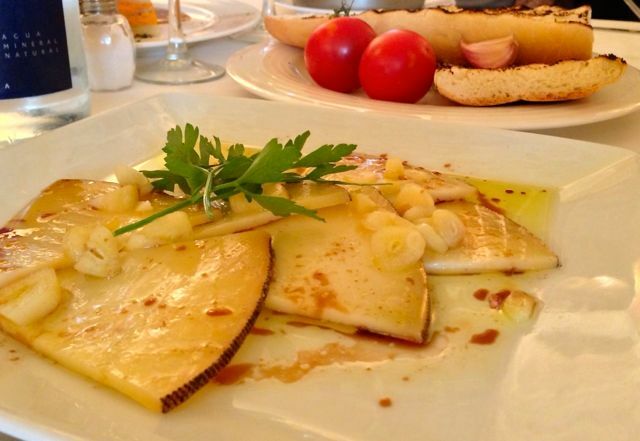 With a very filling and gratifying meal and a relaxing and elegant ambiance, what more can we ask for? *It is best to make a reservation either by phone or email prior to your visit as there are limited eating places in the area, the restaurant can get packed during peak hours.